The creation of a virtual library dedicated exclusively to the olive tree is part of the Foundation’s broader cultural program for an inventory of the olive tree civilisation in all its dimensions, protecting and promoting it in favour of local economies in the olive producing mediterranean regions. 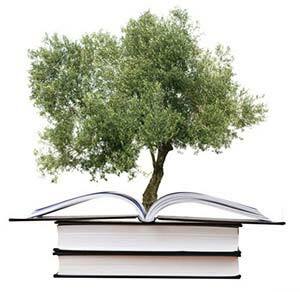 The Library is an important tool for diffusion of knowledge on the olive tree, which, moreover, connects the Mediterranean olive producing regions, since it treats a common good: the olive tree. It is a real information center about the Olive Tree and the mediterranean reality through time, thus an interesting alternative for deep understanding of the Mediterranean. The Library will be open to different information support means : on paper, electronic, informatic, reproductions etc. also, it willl be interactive, allowing visitors to make their own personal suggestions. Access to files will be possible with a typical search engine. Each work will be accompanied by a detailed summary and a photo of the cover.